Note: This is tem­pora­ri­ly only an auto­ma­tic trans­la­ti­on. 14 June 2012 - the “histo­ry of suf­fe­ring” Tour de Renn­steig behind me. Fun asi­de - I was well pre­pa­red, went opti­misti­cal­ly to the start and loo­ked for­ward to the pro­ject for a long time. 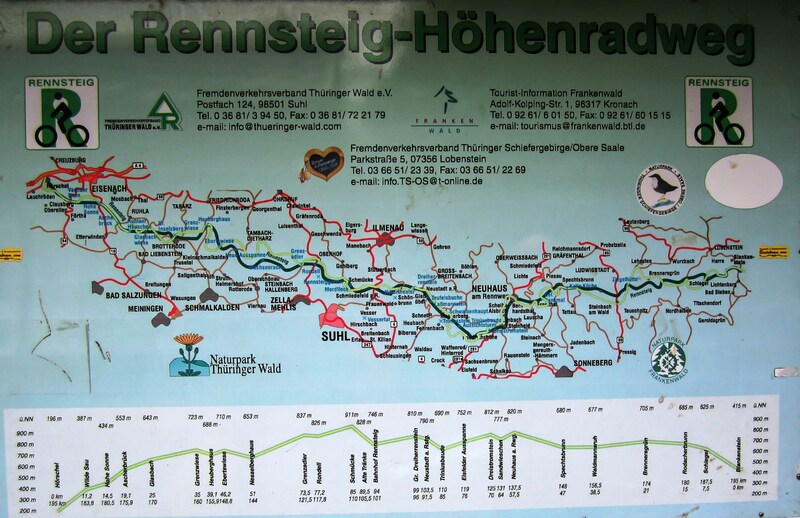 My goal, → the Renn­steig bicy­cle path over the Thu­rin­gia mon­tain ran­ge with a trek­king bike on its ent­i­re rou­te in a sin­gle day - over 199 km and about 3000 alti­me­ters - from Blan­ken­stein at the River Saa­le to Hör­schel at the River Wer­ra. What hard­ly anyo­ne thought pos­si­ble, I had the pro­ject imple­men­ted - and was in the end ama­zed mys­elf to have done it. On the way I was with my well steamed trek­king wheel brand “Dia­mant” with → Speedhub-Rohloff bicy­cle cir­cuit, with the pro­ject of just tires, repla­ce­ment hoses and the necessa­ry tools, care­ful nut­ri­ti­on, ple­nty of water and appro­pria­te clot­hing. At night 2:30 clock I star­ted at the Renn­steig start in Blan­ken­stein on the Saa­le. 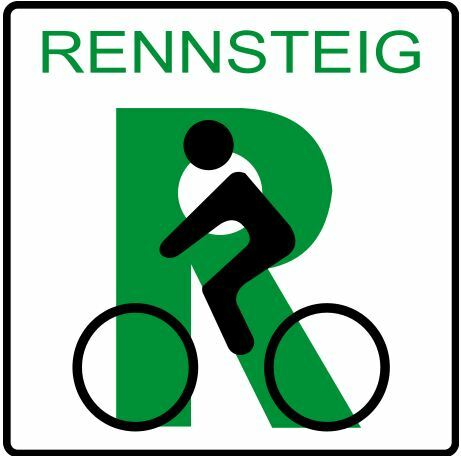 I crossed the ent­i­re Renn­steig about Thu­rin­gia mon­tain ran­ge with most­ly Moun­tain­bike claim on its approx. 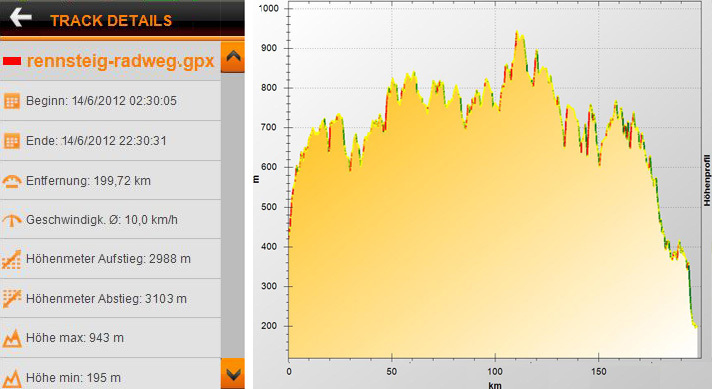 200 km long bike rou­te (with total ascents of appro­xi­mate­ly 3000 height meters). On the same day in the evening, around 22:30, I reached the vil­la­ge Hör­schel by the litt­le river Wer­ra. Health care - Ever­ything o.K. - except for hea­vi­ly brui­sed hips, bro­ken kne­es and a tear in the calf from which still my thin blood ran. To make it strai­ght for­ward: Untrai­ned, I advi­se against this cycle path to absol­ve. Various Inter­net spe­cia­list pages on the sub­ject of bicy­cle tra­vels indi­ca­te that this rou­te can also be met by a few trai­ners in several sta­ges. But this has pro­bab­ly more pro­mo­tio­nal rea­sons, but may be so - depen­ding on the ang­le of view. Howe­ver, a lar­ge part of the way is mar­ked by a con­stant up and down, steep, long ascents and dif­fi­cult forest paths. Anyo­ne who has alrea­dy won a few hund­red heights a day with a bike knows the claim. Howe­ver, the Renn­steig cycle path has a total climb of almost three thousand meters. The road has always been trod­den by miles of forestry machi­nes or strai­gh­te­ned in other sec­tions with coar­se gra­vel. Thus, on long sec­tions, the­re is always a regu­lar balan­cing act that is time-consuming and effec­tive. The Prä­di­kat “Bicy­cle Trail” is pro­bab­ly mis­lea­ding and should rather get the name “moun­tain bike test track”. For almost two years I have trai­ned to meet the requi­re­ments of such a rou­te. Every wee­kend two cycling trips - each dri­ven bet­ween thir­ty and eigh­ty kilo­me­ters tight and non-stop - even in win­ter at minus ten degrees. The way to the finish was some­what unusu­al - espe­ci­al­ly the fact that I owe this life to my life. A few mon­ths befo­re my fif­tieth, I took the oppor­tu­ni­ty to think more than usu­al about the past deca­des, but also to lis­ten to my body. Actual­ly, I had no rea­son to com­p­lain. Only - I wan­ted to set mys­elf new tar­gets. At the same time, I noti­ced that the phy­si­cal fit­ness was “on the descen­ding branch”. In my youth in regu­lar per­for­mance trai­ning, I had worked the fol­lo­wing deca­des, as well as to rege­ne­ra­te mys­elf. The time pro­blem was always the decisi­ve argu­ment to reject a spor­ting com­pen­sa­ti­on. So I said to mys­elf, let you check times and start at the same time a regu­lar spor­ting balan­ce. That was almost two years ago. The result: My new bike show­ed me just in time under chro­nic load a bur­ning in the chest area. My house­kee­per advi­sed me to beco­me a car­dio­lo­gist. As a result I took a heart stent 12 mon­ths befo­re the Renn­steig­tour on vaca­ti­on, in order to reo­pen an almost clo­sed heart main coro­na­ry ves­sel. While the car­dio­lo­gist pushed the stent into my heart, I won­de­red about my future, other pro­jec­ts, and the Ener­gy Web. On the second day, I rewound again a thirty-kilometer-kilometer track. I was freed again. On the ope­ra­ting table I deci­ded, among other things, to com­ple­te the ent­i­re Renn­steig­rad­weg in June 2012 in one day. And so it went on uphill. But that was not all. 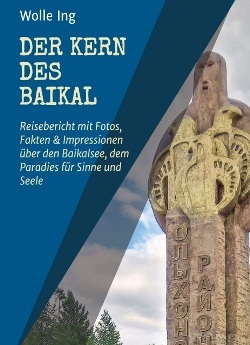 4 mon­ths befo­re the Rennsteig-Tour was a heart-follow-up. The doc­tor was enthu­si­astic about my above-average good values under the per­for­mance ECG. My guar­di­an angel told her, howe­ver, to exami­ne some­thing more than just the heart. So, by chan­ce, a drought-drowning was also hap­pe­ning. In my head, the caro­tid arte­ry was almost com­ple­te­ly blo­cked, and next to it threa­tened a bois­te­rous aneu­rysm to burst at any time. Now it was not a short tre­at­ment. On 27 Febru­a­ry the­re was a new, third bir­th­day for me. Three weeks later, my trai­ning went on. But actual­ly the prehisto­ry is not yet at an end. Any­way - my mot­to: “Curio­si­ty is your gui­de in the jung­le of igno­ran­ce.” Expe­ri­en­ces, new ide­as and ways go hand in hand with tho­se who shape their lives. My basic atti­tu­de always - I do not have to pro­ve anything to anyo­ne - only mys­elf. ... in June 2012 - did I con­si­der ever­ything orga­ni­za­tio­nal­ly? Phy­si­cal­ly, I feel well pre­pa­red. The nights are short. In a pen­si­on at the Renn­steig start (or end?) I slept a few hours. Still, it’s still dark when I start. It is around 1:45 in the morning - only 5 degrees and it rains. Right at the begin­ning I tra­vel a few kilo­me­ters and so must go back to the star­ting point. Somehow the GPS did not play along. Again at 2:30 a restart. In the lug­ga­ge I have a stone from the Saa­le near Blan­ken­stein. “I want to do it - on this day.” This is the pre-eminent thing that is going on my way all the way from the Saa­le to the Wer­ra over the Renn­stei­gö­hen. Oh yes - the pre­scrip­ti­on of the car­dio­lo­gist should I adhe­re - the pul­se is not over 160. This moni­tor my out­door navi and bike com­pu­ter. By the way, the Renn­steig runs fif­te­en kilo­me­ters through the Fran­ken­wald in the adjoi­ning federal sta­te. Bet­ween some pho­tos. The plan­ned breaks I have long sin­ce no lon­ger respec­ted. Every now and then I think of a short reco­very pha­se - if it fits. Along the way, I find only half a dozen Renn­steig hikers apart from forestry workers. Is the wea­ther or the European Cham­pi­ons­hip match of the Ger­mans the day befo­re? In the end I find it hard to get down. Falls do not stop - get up, move on. For­tu­n­a­te­ly, the tires care­ful­ly selec­ted in the pre­pa­ra­ti­on. They actual­ly held what the manu­fac­tu­rer pro­mi­sed: “Unclada­ble.” The exci­te­ment, cold, exaspe­ra­ti­on and fati­gue are extre­me­ly important to me. Cold wet­ness in the first third made me doubt in the begin­ning. On the last fif­te­en kilo­me­ters, I can unfold again mira­cu­lous­ly power reser­ves. Late in the evening around 10:30 pm on the four­te­enth of June 2012 after twen­ty hours of tour I have imple­men­ted the pro­ject. My daugh­ter knew I could do it. The stone from the Saa­le lands with a lit­ter in the Wer­ra near Hör­schel. What will be my next goal bey­ond fifty-two?